Let’s put things into a current context here. Up until Are You Dead Yet, I anticipated each COB-album with hair-flinging glee and the band did not disappoint. Hate Crew Deathroll is still my favourite out of their catalogue. Are You Dead Yet was awesome for the first couple of months, as one can see from my review of it on this very site. But that affection didn’t last. The album did not stand the test of time for me. As of today, it feels as a batch of songs assembled in haste (something that I think the band has somewhat agreed with in recent interviews), not to mention that I would have preferred more fast material on it overall. As far as my review goes, it is probably the only one I have made during my 4+ years writing here that I would seriously like to phrase and score again. Probably would give the album around 77 today. My point being that I did not await for Blooddrunk with the same amounts of drool that once began to generate once I heard of a new Bodom album and a confirmed release date. Right from the get-go, things are seemingly great. Hellhounds On My Trail kicks you in the scrotum with a nasty riff and a thrashy beat that somewhat recalls the awesomness of Hate Crew Deathroll. The tempo only slightly lets go (bringing formidable grooving) in the shout-filled choruses and the solos are brilliant from both Laiho and Warman. The title track (more of which you can read about in my single review) keeps of the moshing nicely, but after that something weird happens. The band doesn’t go on a crazy experimentation-trip or anything like that. They continue doing the tight blasts of aggression mixed with melody that they are best known for. Laiho’s screams are very intense and the band plays together as well as they always have – special mentions to Jaska Raatikainen and his impressive drum work. The solos are plentiful and over the walls. Lobodomy has a nice slightly proggy rhythm going on with the drums, but doesn’t do much else. One Day You Will Cry and Smile Pretty For The Devil are pleasingly up-beat but not even the harmony guitar work can get my air axe swinging. I just can’t find the hooks. Although I must say the somewhat Nintendo-esque keyboard sound Warman uses in the intro to Tie My Rope is highly enjoyable. Shame that there isn’t more of it. The situation is slightly improved with the “mandatory” heavy ballad of the album, Banned From Heaven. Sure it follows in the mold of Every Time I Die and Angels Don’t Kill, but those songs were brilliant and this tune comes close. That chorus is damned infectious. Roadkill Morning closes the record with some furious speed, but the tune as a whole again doesn’t yank my head off. The production job is top notch, with everything in a clear balance. I’d say the guitars are a bit more harsh this time around and it suits the album well. The songs overall are fast and gritty, and I would second many fronts of the Finnish music media who have called this COB’s most “punk” album to date. I don’t know if that can be attributed to my shocking inability to get into this record as a whole work, since I’m not that much into punk (with the powerful exception of Celtic-flavoured groups like the almighty Dropkick Murphys). Although the overall instrumental performances contained are anything but easy for mere mortals, the band has changed it’s style to an even more simplistic beating on this one. Everything is technically as slick as you could expect from the Bodom lads, but the song writing just isn’t there. The melodies aren’t searing into your flesh like they have so often with this band and I feel deflated in a disappointing way. None of the songs are terrible or unlistenable, but right now I feel this is their worst album to date. 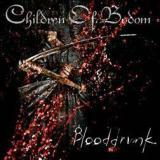 Good listening on a general scale, but not the awesomness I have come to expect from Children Of Bodom. Time will show if it could have an opposite effect than what happened to Are You Dead Yet with me.